Brooks Ravenna 6 are stability cushioned running shoes. 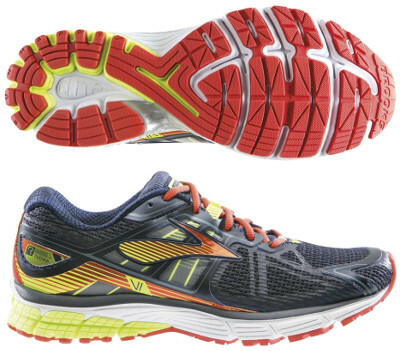 The Brooks Ravenna 6 targets mild to moderate overpronator runners looking for great balance between cushioning and stability. It is one of the most popular models from Seattle's brand. This version keeps what worked great (flexible and durable outsole and adaptive BioMoGo DNA cushioning in the midsole) from its predecessor the Ravenna 5 and features a redesigned upper with a lighter and more breathable mesh. It provides a custom and secure midfoot fit through an adjustable saddle construction and improved comfort with new heel collar. Shoe now keeps closer to the ground for better stability, offset jumps to 10 mm to make transition easier and several grooves are strategically placed to enhance midsole flexibility without compromising cushioning.